Amtrak Photo Gallery; Page 1 of 14 -Stan's RailPix-! Amtrak Photo Gallery; Page 1 of 14 ! 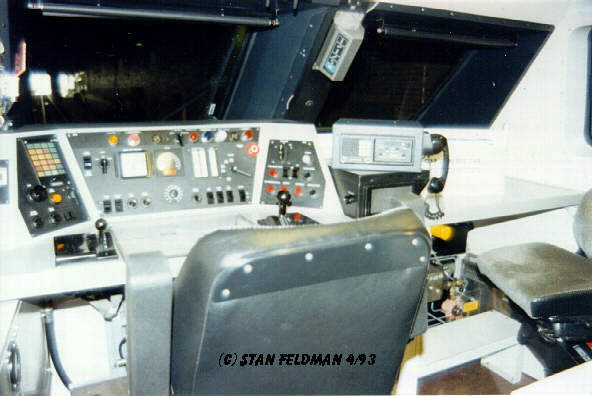 Click here to see the engineers seat of the X-2000.Taken in 30th Street Station, Philadelphia Pa. 4/93. -Click here for a wide angle side view of the Amtrak X-2000 running south in Metroliner Service near Tacony Station, Phila. Pa, summer 1993. Click here to see the Amtrak X-2000 running north (east) in Metroliner Service. It is passing Tacony Station, Philadelphia Pa. 9/93. 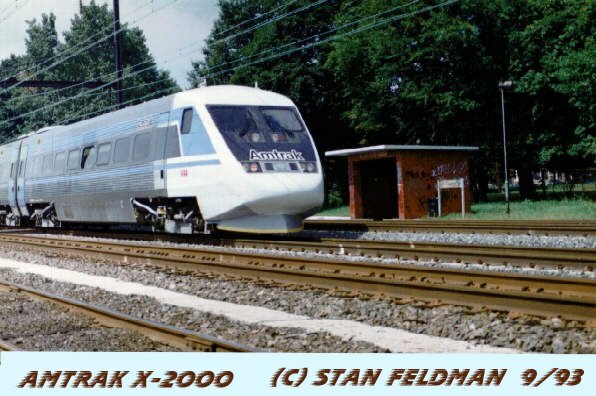 Click here to see The X-2000 Trainset from Adtranz Sweden, that was tested by Amtrak in Metroliner Service in 1993. 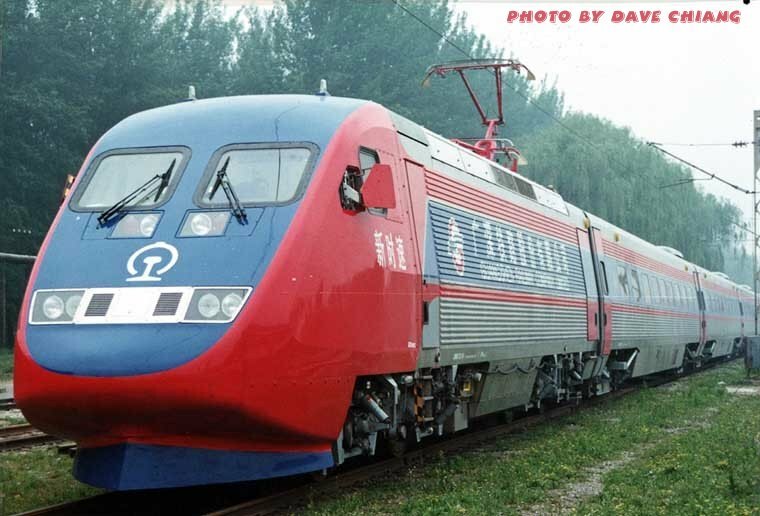 The trainset was shipped to Hong Kong where it is now (2000) used in train service between Hong Kong and Guangzhou, China, on the Guangshen Railway. Photo and information by Dave Chiang. 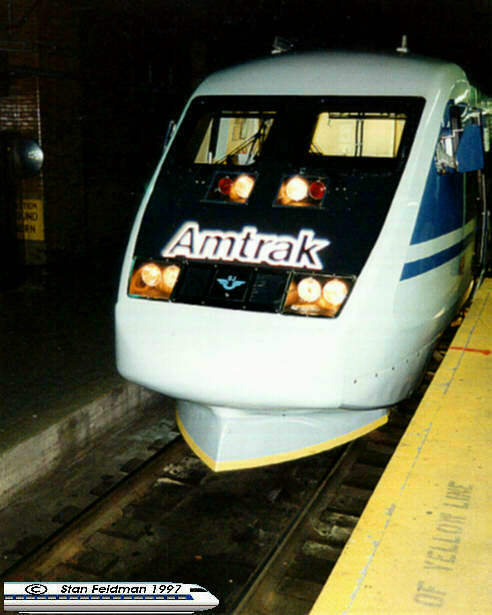 Click here to see the "nose" of The Amtrak Ice Train. It is on display at 30th Street Station, Phila. Pa. 8/93. 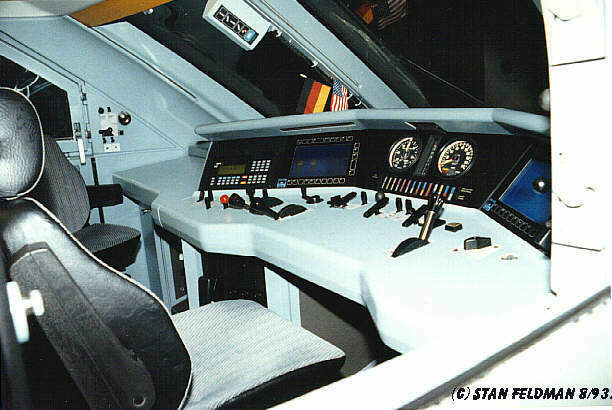 Click her to view the control Panel and Engineers seat of The Amtrak Ice Train. It is on display at 30th Street Station, Phila. Pa. 8/93. 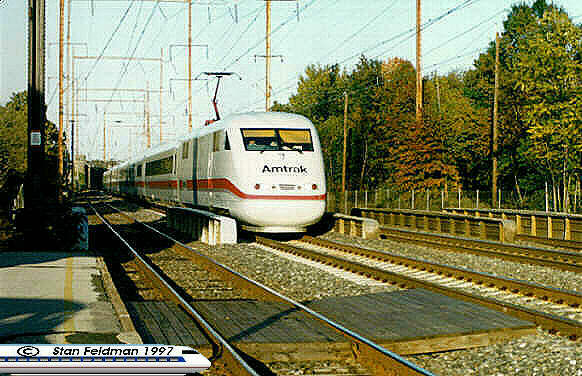 Click here to see The German Amtrak ICE Train on the curve at Frankford Jct., Phila. Pa. It is running north as Metroliner # 112. 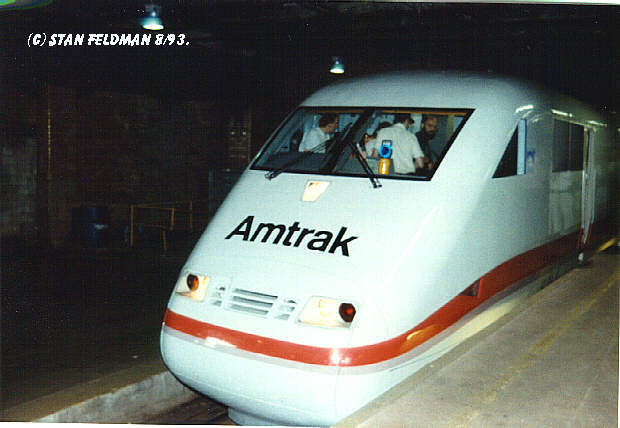 This is the same type of train that was involved in the deadly crash on 6/3/98 in Germany. 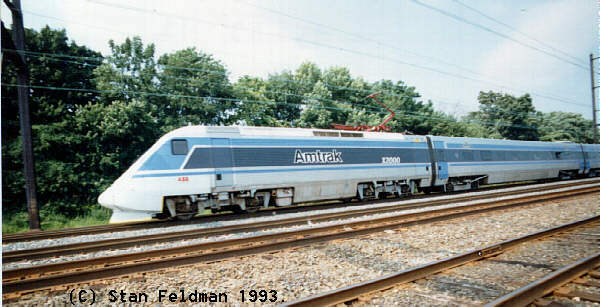 Amtrak had no problems while testing this train. 9/93. -Click here to view the ICE TRAIN heading south as Metroliner #223 in the fall of 1993. 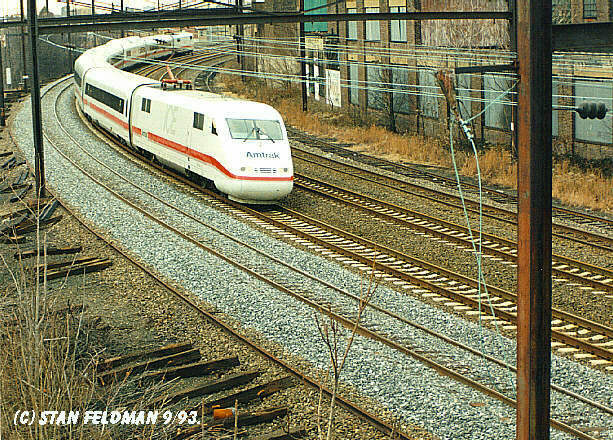 Click here to see The Amtrak ICE Train running north at the old Frankford Junction Station in Phila. Pa. It is passing a Philadelphia bound Metroliner being pulled by an AEM-7, 10/93. Amtrak now operates 120 trains a day in the Northeast, from Boston to Buffalo to Newport News, Va., and is a top choice for business travelers on the heavily traveled Northeast Corridor route between Boston, New York, Philadelphia and Washington. Amtrak's Northeast services account for more than half the railroad's total ridership and revenue. 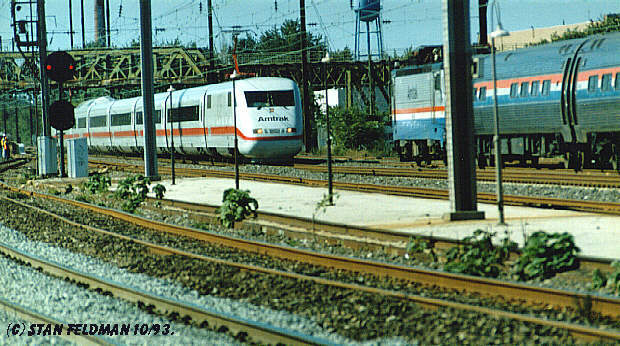 Click here to see the ICE Train speeding north in Metroliner Service at Holmesburg Jct, Phila. Pa. A Septa R-7 train is heading toward downtown Phila. 10/93. Click here to see an Amtrak Catenary Identification Card. Click here to see images of The Amtrak Acela Express Trainset .